*T.I. isn’t letting his lady go without a fight, but don’t worry he’s not recording a flop of an album for his lady — like Robin Thicke did for Paula Patton. Nevertheless, T.I. 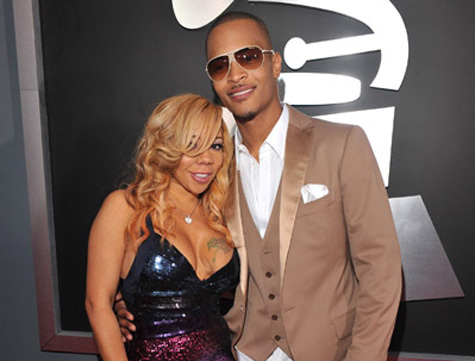 released a new song, “Stay,” expressing his love for Tiny and revealing the drama that occurred in their relationship. This comes just after Floyd Mayweather claimed to have slept with Tiny, and then, later denied ever saying he slept with her and was misquoted. But T.I. seems to be more focused on reminding Tiny of their love for each other than what Mayweather said or didn’t say. “How dare you compare me to dude? Girl, chill. Might be so close up on it you don’t see what it is. Shawty, I’ll die, kill for you if you keep it real. Go to jail. Even if I gotta kneel, I will,” he continued. T.I. starts to reveal more about his relationship with Tiny and it’s pretty juicy. He alluded to cheating on Tiny and her reaction, which frustrated him. Also, he shaded Tiny’s best friend, Shekinah. “I ain’t trippin cuz you caught me out there. But your reaction to it pushed me further out there,” he admitted. He told Tiny that she couldn’t deny their love for each other. Although, they haven’t gotten it right just yet. Playah move to the 100th power. The boy is a GENius!